RTR Handelsgesellschaft is an established supplier of steel tubes, pipes and associated pressure parts for the power generation industry. The company has had a base in Gateshead for around 30 years and are currently looking for an experienced engineer/technical expert from the steel or energy sector to strengthen their team. Responsibilities include preparation of tender documents and technical specifications, responding to customer sales enquiries, approving technical drawings and managing key supplier relationships. The companies clients are mainly UK based, with some overseas and suppliers in Europe. The head office of the company is in Ratingen, with other subsidiary offices in the Czech Republic and Poland. We now have a date for our Christmas Stammtisch. 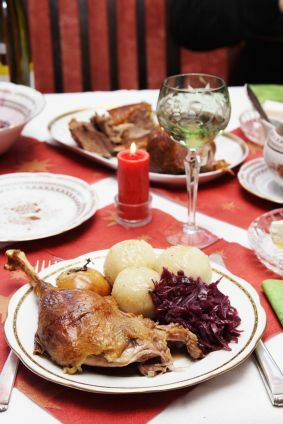 On Monday, 12 December the Mansion House in Jesmond will host our traditional German Christmas Dinner from 7pm. You can look forward to a Glühwein reception, Hühnerleberpastete mit Zwiebelmarmelade (chicken liver pate with onion marmalade), Champignon-cremesuppe mit Mandeln (mushroom crème soup with almonds), Gebratene Weihnachtsgans mit Apfelrotkraut, Badischen Klössen und Schwäbischen Spätzle (Christmas goose with apple red cabbage, potatoe dumplings and spaetzle) and Schwarzwälder Kirschtorte (blackforest gauteau), Stollen und Pfeffernüssen (biscuits). The cost per person is £20 and pre-payable to the Mansion House either by debit card or cheque. If you’re planning to join us, please let me know so we get an idea on numbers. The German Christmas Basar will also again take place on 26 November from 11am to 2pm in St James United Reformed Church in Newcastle (close to City Baths). If you are looking to get involved with a stand or in any other way, please contact Michael Mehl directly, email: germanchurch@gmail.com. All about Christmas in Germany – visit Discover Germany website for lots of information on the best places to go and information on traditions. And if you want to be spoilt after trailing along Christmas markets, why don’t you relax in one of Germany’s Best Wellness Hotels. Export capability, engineering & technology and strong medium sized companies contribute to the success of the German economy. In a recent Handelsblatt article, various correspondents compared the German economy with the US, Britain and France to see what has been done differently – click here for their analysis. Guardian correspondent John Kampfner gave his opinion this week on the recent commons debate about Europe – click here to read his comment piece. Both Germany and Britain have still many historic sites dating back to the Roman frontier days. Hadrian’s Wall Heritage is working with their colleagues from German Limes and if you want to find out more about their work, click here for their newsletter. If you’re interested in this topic, please drop me a line. And a last piece of information: in the UK we eat frozen desserts like chocolate mousse, strawberry cheese cake and blackforest gateau from Coppenrath & Wiese, while the Germans are on Diet Chef from Scotland to loose weight. Any thoughts? In Bavaria, there is an exhibition about King Ludwig II from 14 May to 16 October 2011. It is the 125th anniversary of the mysterious death of the Bavarian King, who left behind the castles of Neuschwanstein, Herrenchiemsee and Linderhof. Related to the Austrian empress Elisabeth and a key supporter of Richard Wagner, the life and death of Ludwig II has been topic of various movies. Other Bavarian places to see are of course the capital Munich, Berchtesgaden, Starnberger 5-Seen Land, regional capital Nürnberg, world heritage site Bamberg or outdoor activities in Fränkische Schweiz (Franconian Switzerland). This week, Tommy Jaud’s bestseller Resturlaub saw its movie premier in Germany. A very funny novel about a man having his midlife crisis plays partly in Franconia and in Argentina. The trailer looks very silly (more a Hangover type of film) and won’t be an Oscar contender, but possibly quite entertaining. Another bit of ‘easy reading’ would be Bavarian crime novels by Rita Falk. Winterkartoffelknödel was her first book and features an imaginary little village near Landshut. It also includes a glossary of Bavarian terms and some of her gran’s cooking recipes. Click here for a brief interview with the writer. How real some of these stories described by Rita Falk are, just watch the news in Germany. Parts of Bavaria are currently on alert – no, not rioters – but because of an escaped cow. Yvonne has been on the run for the past two months and even Ernst, a bull brought in this week to provide a ‘honey trap’ has been unsuccessful. For a news video from Stern, click here. Maybe while walking around Germany, you come across our fugitive cow and what else you can discover is described by Andreas Kieling who recorded his experience in ‘Ein deutscher Wandersommer’. And if you’re around Germany by bike, the ADFC (Allgemeiner Deutscher Fahrrad Club), Germany’s Cycling Club, provides some suggestions of tours on the 150,000 km of cycling routes in Germany. Deutsche Bahn obviously offers holidays by train. 2011 is also the year of the car. 125 years ago Carl Benz invented the first automobile and Bosch, the company of the inventor of the spark plug – celebrates its 125th company anniversary. Information on events places about the car, can be found by clicking on Automobilsommer Baden-Württemberg, Mercedes-Benz Museum, Porsche Museum, Boxenstop Tübingen, BMW Welt and the VW Museum. We are currently trying to organise our Stammtisch events list for the autumn/winter and have been in discussion about a book swap event, a travel event, a beer festival and a historical link event (possibly Limes/Hadrian’s Wall). If you have additional ideas or know of venues where they will be able to serve German food, please let me know. Earlier this month we had a very interesting and enjoyable evening in Sunderland. Our thanks go to Ralph for welcoming us at the Liebherr factory and Dermot for organising our Schnitzel and Weisswürste dinners. I hope you all enjoyed a lovely Easter break – and those of you who were in Germany probably had to ‘endure’ the tropical climate there. And if you feel you had too many chocolate Easter eggs and are looking to watch future sugar intake, you might like this article in Stern on ‘Süssmacher’. It shows just how much sugar is in various (sometimes unsuspecting) products. With Easter, Royal Weddings and so on, we thought April is just too busy for a Stammtisch. But in less than two weeks’ time – on Tuesday, 10 May – we will meet again. Ralph Sälzer, the managing director of the Liebherr factory in Sunderland has invited us to a factory tour, which will start at 6pm. From 7pm onwards, we will then be in the Irish pub TJ Doyles just up the road for German food (eg Schnitzel and Potato Salad) and German/Austrian beers. Dermot, who runs the Irish pub/restaurant, lived in Austria for a while and will make sure we have authentic food & drink. Please let me know if you will join us – either for the factory tour/for food & drink/or both – so that we can cater for this accordingly and I will also send directions to those who will come along. 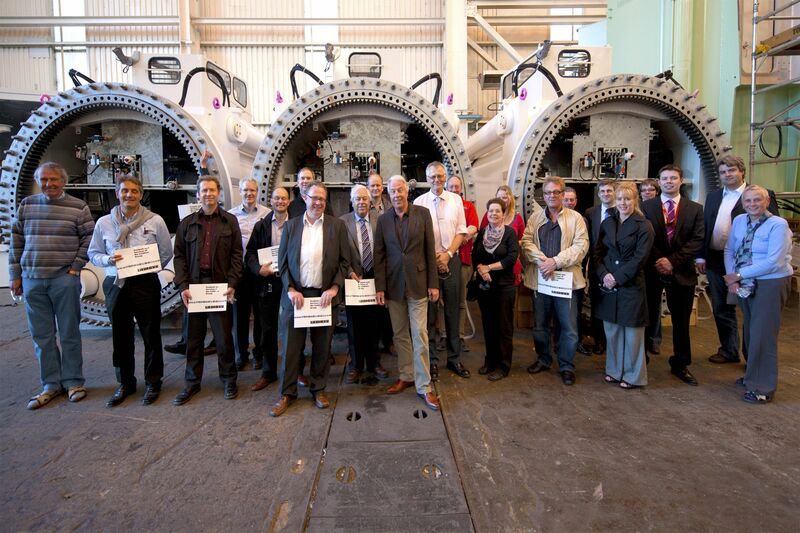 Liebherr is one of the largest German family owned companies and employs around 32,000 people worldwide. It is not the only family owned company (Familienunternehmen) here in the North East, there is also Aldi, Lidl, Heraeus, Makro (Metro Group), Freudenberg and, of course, across the UK well-known brands such as BMW, Porsche, Dr Oetker, Bosch, Otto (they own Freemans/Grattan here), Würth, Haniel, Merck etc. Of Germany’s 1,500 world leaders (ie they are the number 1,2 or 3 in their particular sector), 70% are family owned and 51% of the largest listed 250 companies in Germany are also under one family’s control. Just like anywhere else, family-owned companies in Germany face numerous challenges and a key one is to find a suitable and willing successor. The Handelsblatt has established a portal for business owners who are looking to sell their company. To see what type of businesses are available, visit the website Deutsche Unternehmerbörse. Japan has dominated the news in recent months following the earth quake and subsequent impact on its nuclear industry. On a happier note, this year Germany celebrates 150 years’ friendship with Japan. Back in 1861 Prussia and Japan signed its first friendship and trade treaty, the foundation for this relationship. If you want to find out more about the background, activities and events that are taking place in Germany and Japan, visit the website. And do you know which German city is called ‘Klein-Tokio am Rhein’? In this German city, over 7,000 Japanese have found a new home and around 450 Japanese companies established a base in the region. The city on the Rhein will also be a focus for the 150 Year Celebrations with a traditional Japan Week from 21 to 28 May. The Tyneside Cinema currently shows a new film directed by Wim Wenders. Pina is a tribute to the choreographer Pina Bausch and was filmed in Wuppertal. Click here to get to the film’s website. In the trailer you can see a famous train (Schwebebahn) and it’s safety was demonstrated in a very unique way. Does anybody know how and what happened next??? I would like to wish you all a great time on Friday whatever you’re doing and look forward to seeing you again soon.